We are so psyched to be hosting the area debut of Max's New Hat! We saw the band play at a music festival in their homebase of the Catskills last summer and we loved every minute of their performance. 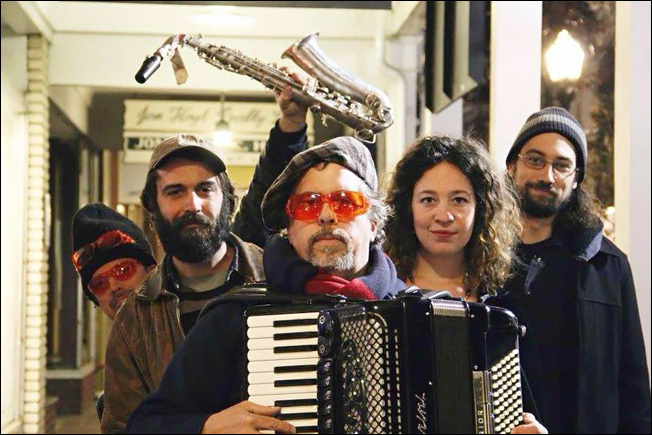 Max’s New Hat is an electro-Balkan band that plays the dance party and wedding music of Serbia, Macedonia, Greece and Bulgaria. The band will be six members strong (bass, drums, vocals, accordion, doumbek, sax/clarinet) for this house concert! We will be selling the usual amount of tickets, but we’ll be putting in fewer chairs to allow room for dancing! Not to be missed! 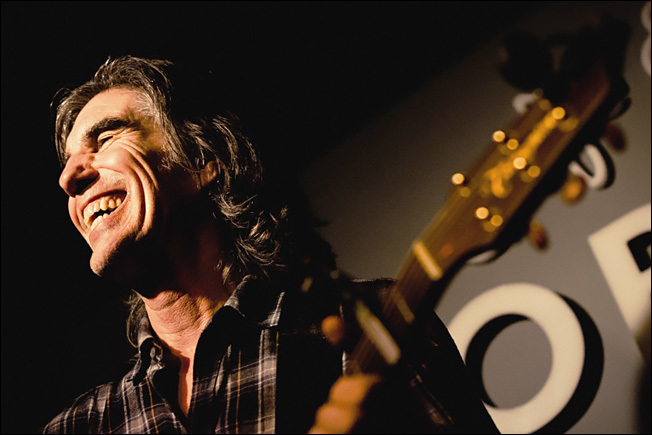 Walter Salas-Humara is a founding member and the primary singer/songwriter of the great Americana/roots band The Silos. Walter last played at our house with The Silos way back in 2005! The Silos began in the mid-1980’s and soon earned critical acclaim and a loyal cult following. The band was voted Best New American Band in Rolling Stone Magazine's Critics' Poll of 1987 and appeared on Late Night with David Letterman in 1990. In the decades since, Walter has continued to make numerous albums (solo and with The Silos) while also working as a visual artist. Well, we couldn’t go too long without having our favorite rock & roll band, The Figgs, back at our place. The band formed in Saratoga, NY in 1987. This year they will release their 15th studio album (allegedly a triple vinyl album!). Also their 1993 cassette-only debut “Ginger” will be reissued on vinyl and CD in 2019. If you’ve asked us for a music recommendation at any point in the last dozen years, we probably told you to check out The Figgs. We expect this show to sell quickly. Don’t miss out! 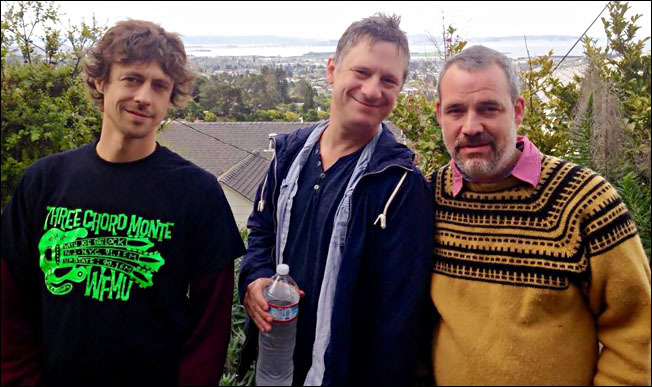 We're proud to welcome back the Lustre Kings, who last played at our house in 2013. 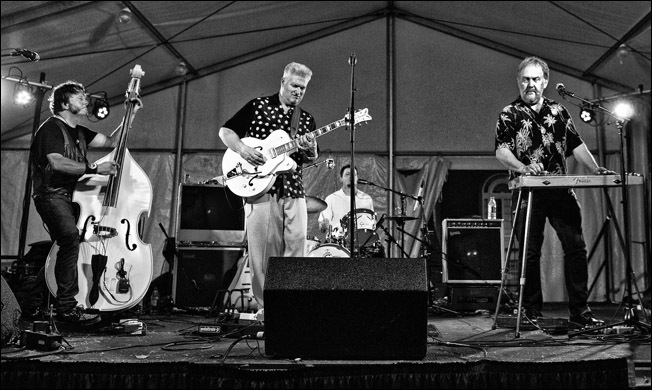 The band plays a fun mix of classic rockabilly, surf music, vintage rock & roll and R&B, and plenty of great original songs.